Living in Portugal has a ton of pros, but regarding movies, it lacks serious advantages. The price of admission is expensive, there is only one film theater in my city (every time I want to watch a movie on IMAX or Dolby Atmos, it's a financial effort and time-consuming) and the worst of all, a whole bunch of films aren't released in their original date, especially November/December Oscar-bait movies. Only now I had the opportunity to see Green Book, and I am so mad I wasn't able to write its review in 2018 because this is undoubtedly the best comedy-drama of last year and one of the best overall! With the help of a terrific cast, Peter Farrelly and his writing crew (which counts with Vallelonga's son, Nick) deliver what I think is the best screenplay of 2018. I can't remember the last time I cried of so much laughter in a film. I can't remember the last time I did the latter and still got emotional with the dramatic arc. This comedy-drama sent me through a roller coaster of emotions I wasn't expecting, at all. I went in anticipating outstanding performances (check) and solely that. Since 2019 has already begun, I'm watching the Oscar-bait movies with no real hopes of being utterly amazed. 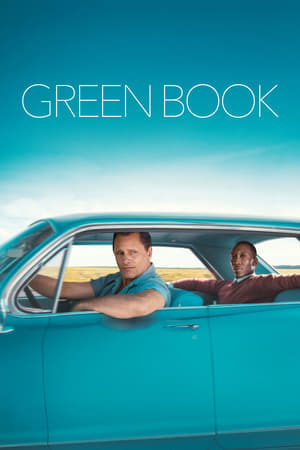 However, Green Book completely took me by surprise. I genuinely don't know why everyone was so shocked when it won Best Screenplay at the Golden Globe Awards. It possesses such a well-written story, filled with brilliant narratives about the most sensitive subjects. It takes the two main characters and elevates their individual arcs into subplots where you begin and end with two completely different personas. It's an extremely relevant film that shows how our world evolved and fought back racism and discrimination, without ever becoming too dark or even dull. It's not more of the same, it's not another movie produced exclusively to send a social message and catch some Oscar nominations. It's a truly captivating story of how two men can change their perspective of another race or even the entire world, by actually spending time with another culture and ignoring preconceived notions. Nevertheless, this well-structured, beautifully-directed and cleverly-written film would be just "good" if not for the two incredible actors, who take this movie to a whole other level. Viggo Mortensen and Mahershala Ali have such compelling chemistry that I wouldn't mind watching them interact for two hours on a car trip. Every single car sequence either produces hilarious moments, filled with tearful laughter, or it drastically changes into a more dramatic and emotional tone, subtly touching delicate topics. I knew Mortensen had a humorous side to him, but I never saw this coming! His timing, his expressions, his Italian accent, his body movements, everything about his performance is perfect. He absolutely nailed his part, by giving me the best time I had at a film theater in a long time, and his Oscar nomination is more than fair. He made a 130-min feature movie feel like a short flick. Ali doesn't come far behind. Obviously, since Viggo has a funnier role to portray, the audience members might feel that he's just there to help his co-star shine, but he does much more than that. Since he brings the drama element to the story, he has a more restrained performance during the first half of the film. However, once Shirley starts getting along with Tony Lip, Ali gradually offers more and more splendid acting moments. He's definitely a supporting actor, but God is he a phenomenal one! Linda Cardellini (Dolores Vallelonga), even though she's only on-screen for a few minutes spread throughout the runtime, also delivers a great performance. Tony Lip and Dr. Don Shirley have quite distinct personalities, besides being from different races. Each character's arc is brilliantly illustrated by Peter Farrelly, who gradually shows how Tony and Don are changing their view of the world and of each other's culture. Either through the witty car sequences or through unfortunate and horrible experiences, these two characters carry the audience on a journey of growth. Change in behavior, mindset and preconceived ideas, by sharing their own culture with another. Even though they were born in different countries and lived through distinguished lifestyles, with contrasting quality of life, they eventually start realizing that what they think of the world and everything else might not be entirely right. Technically, Farrelly controls the movie's pacing exceptionally well, by making a two-hour-ish film feel like half of it. Remarkably-balanced tone and some great cinematography is showed in a couple of scenes. Consistently-filmed and well-edited, even though the latter has small hiccups here and there. Nevertheless, this isn't a film with extraordinary technical attributes, nor it needs them. Farrelly only needed to do "ok" with the producing and filming of a standout screenplay to achieve a fantastic result, and that's exactly what he did. Finally, regarding the controversy surrounding this movie ... See how easy it is to watch a film without being affected by outside matters which don't have a single thing to do with the movie itself? I don't care if someone who worked in the film tweeted something wrong today, let alone years ago. I don't care if someone misinterprets Viggo Mortensen's speech about racism. I don't care if the family of Don Shirley doesn't like how the movie approaches his way of being or his way of life. I don't care if the story isn't 100% true, as long as it succeeds in transmitting the vital message it wants to deliver, while actually being a good film. So, please, stop trying to listen to everything everyone says about a movie or the people working on it, especially nowadays, where chaos is easy to create.